Offering exquisite craftsmanship and designs the Links of London collection re-imagines timeless styles to create an effortlessly charming blend of classic and contemporary. Crafted from silver this charm bracelet isperfect to attach your Links of London charms to. 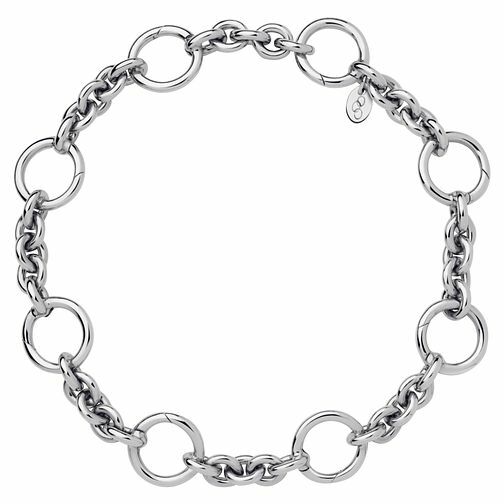 Links of London Sterling Silver Charm Carrier Bracelet is rated 5.0 out of 5 by 1. Rated 5 out of 5 by Anonymous from Lovely bracelet & good quality I got this beautiful charm bracelet for my 50th Birthday. I had been looking for one for a long time and wanted one that felt solid but not too bulky. This was perfect and even with added charms it does not feel to heavy on the wrist. I love it and would recommend it to anyone looking for a statement piece.